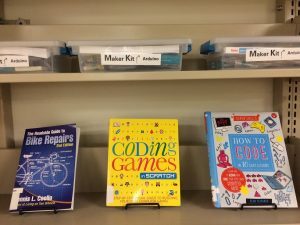 Library staff have been busy packaging up some of the Maker Studio's coolest tools and kits so that you can check them out and take them home! 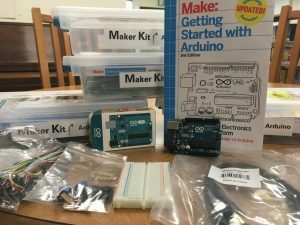 The first Maker Kit ready for check-out includes everything you need to get started with Arduino. What's Arduino? Arduino is a tiny, open source computer that you can hold in your hand. Our Maker Kits include everything you need to get started learning and making. 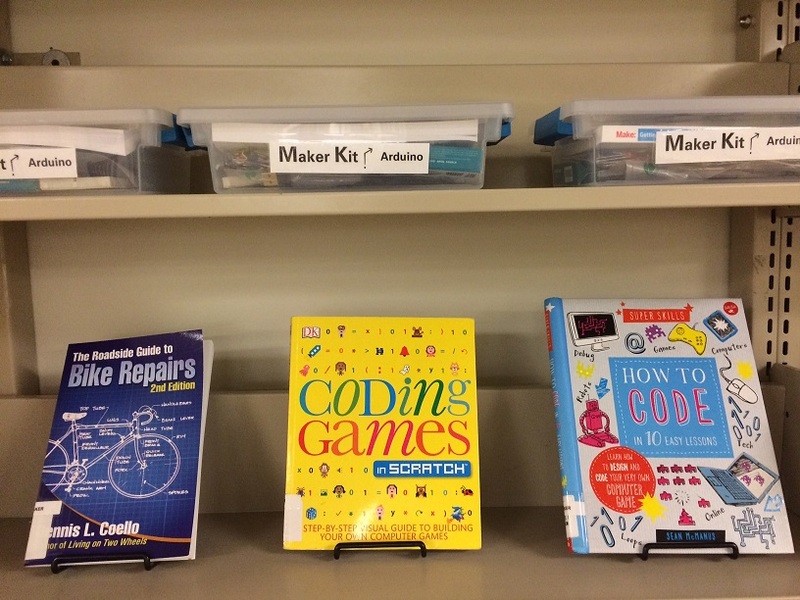 Maker Kits are located on the Maker Collection shelves, right outside the Maker Studio entrance. More Maker Kits will be added to the collection every month - check this page for updates!